Smashwords sixth annual Read an Ebook Week March 2-March 8 is an international celebration of ebooks. March 6, 2014 - PRLog -- This week Smashwords.com will have their sixth annual Read an Ebook Week celebrating of ebooks.You can join the celebration when you purchase The Christian Olympics-Going for the Gold Crowns at a 75% discount. 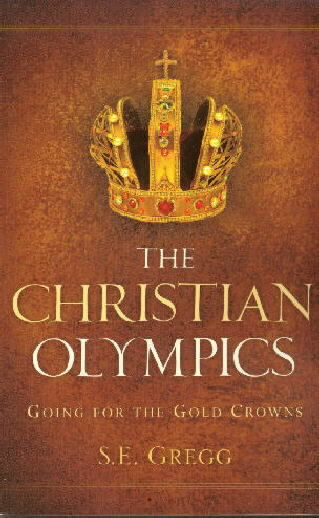 The Christian Olympics by S.E.Gregg, is the unveiling of the Bible’s comparison of the Christian race to the Olympic Games. * Think like a spiritual athlete. * See themselves running in a spiritual marathon. * Find contentment with their own God given supernatural abilities. * Discover who the players are in the spiritual competitions. * Train for the spiritual competitions. * Develop a game plan to win the spiritual competitions. * Endure and become a finisher. This special discount will be available March 2-March 8. With Smashwords you can download this bestseller to your Kindle,Epub (Apple iPad/iBooks, Nook, Sony Reader, Kobo,) and most e-reading apps including Stanza, Aldiko, Adobe Digital Editions, and others.